Bordeaux is famous for expensive red wine. But most folks don’t know how large the Bordeaux and neighboring regions are- there are literally thousands of wineries stretching for miles. After digging deep to challenge the “expensive” myth, I found two bottles that may turn your perception upside-down. This month our French #winophiles group scoured France to bring you amazing wines for $20 or less (roughly €17 today). Like many countries, France is rich with wines in this lower price range; it’s just a matter of finding them. The Nouvelle Aquitaine region (the southwest quadrant of France where Bordeaux lies) is silly with them. 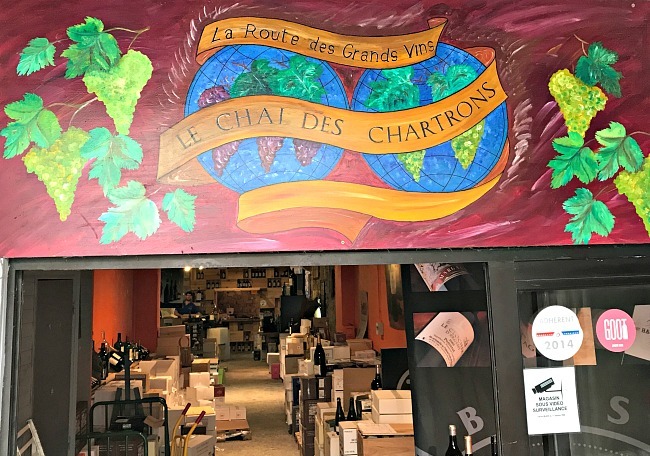 Almost two years ago when Mark and I came to Bordeaux, I found Le Chai Des Chartrons but was intimidated having never uttered a word of French; no English at this Cave. While I still consider myself a novice speaker, my work towards mastering ‘French wine lingo’ recently took me in. “Bonjour monsieur, avez-vous une bouteille du vin préféré? Asking Monsieur if he had a favorite wine, he looked, shared a handful then stopped, asking me to wait. He presented a wine from the back indicating this was his favorite at an amazingly low price. It went home with me. Wine #1. That afternoon, Mark and I headed to Saussignac, a small town about 45 minutes east of Saint Émilion to meet a friend who raved about a new restaurant. Lorraine took us to Café Le 1500, the barely year old child of Lee and Michael. All about supporting local- we happily agreed to try their favorite wine. Dinner was fantastic, so was the vin! Wine #2. This is 100% Merlot from the Bergerac AOP, just east of Bordeaux. The area is considered the Southwest (Sud-Ouest), adjacent to the Dordogne River. Cabernet Sauvignon, Merlot, Cabernet Franc, and Malbec are grown, as well as Sémillon, Sauvignon Blanc, Muscadelle, Ugni Blanc and Ondec for whites- essentially the same varieties as in Bordeaux, plus a few more. The 15th century château is located just outside Saussignac and produces red, rosé, and dry white, a Saussignac AOP Liquoreux (sweet), and a sparkling wine made in the traditional method. Purchased in 2000 by the English brewery Ringwood, their emblem was a bore, hence the name Sang du Sanglier (blood of the bore). The current owners kept the name for this special cuvée. A seriously delightful wine comparable with Bordeaux right bank wines at far higher prices. It draws you in with its jammy fruit, yet demands your attention on the palate, before smoothly lingering. Given the cost, we were amazed! This is a dry white from a 1st growth château in the Sauternes AOP. It’s located in the southernmost part of Graves on the left bank of the Garonne River just south of Bordeaux. They’re known for sweet, complex Sauternes. The blend is 70% Sémillon and 30% Sauvignon Blanc. While they make a fair amount, it was my first taste, and another excellent quality to price ratio. You can join me and the other talented #Winophiles to discover several affordable French wine finds if you’d like- just log into Twitter tomorrow, Saturday August 19th at 8 a.m. PDT (5 p.m. in France) and type #winophiles into the search box. Click the “Latest” tab at the top of the page to see all of our tweets in real time. You can tweet comments and ask questions too! I learned about the upswing in dry whites from Sauternes on our visit this spring. I’ve had Chateau Guiraud’s Sauternes but not their dry wine. Unfortunately, the dry wines seem to be a reaction to the smaller demand for sweet Sauternes, which is a shame. Still, the dry wines from the area are delicious! As it so happens I’m studying French (sort of) using Duolingo I actually understood you question? Sounds like two great bottles. I’m especially intrigued by the Giuraud which sounds like it’s right up my ally Lynn! Thanks for sharing! They both sound wonderful…..I wonder if they are available here in Michigan. A girl can dream……. Wendy, You should be able to find the the Le G Blanc Sec. I think you would have to order the red, although someone piped up on the Twitter Chat saying they carried it. I’ll let you know! I’m so envious of your ability to tool around Bordeaux and neighboring areas! But since I can’t, I’m glad I have your blog to transport me there virtually. Both wines sound like real finds but I know I’d love the white. I’m a big fan of Sémillon-dominated blends – something about the texture really appeals to me. Thanks for the heads-up! great finds! will look for the Bergerac — I’m not sure if I’ve tasted wine from there before! Thanks for your comment Gwen! 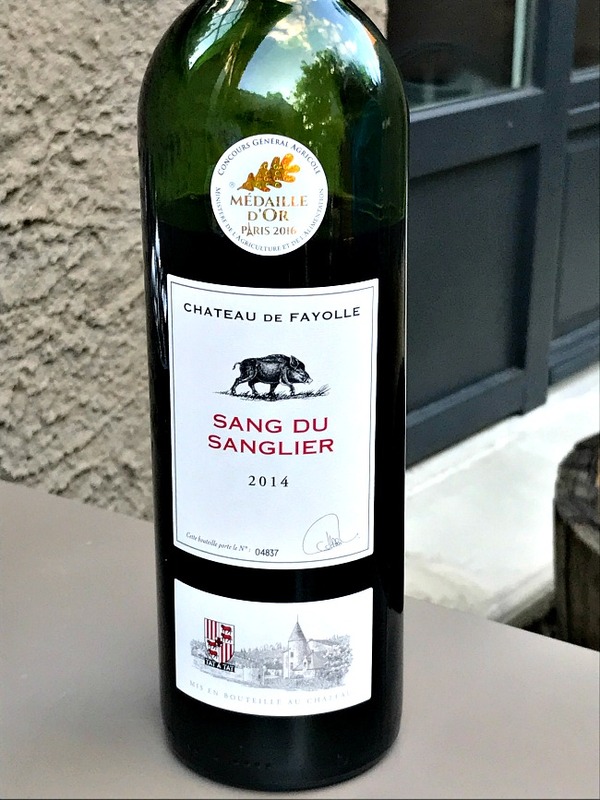 Since I’ve had a few questions here is the scoop on the Ch Fayolle Sang du Sanglier- it is exported to England through http://www.fromvineyardsdirect.com, and also to Japan and Canada. Right now it is not available in the US. I’m continually amazed at the wines coming from both the Bergerac and Saussignac AOPs, great QPR. Lynn every time I read your blog I think to myself, you are living my dream!!! Interesting wine finds and great tasting notes!!! Think I may find them state side? 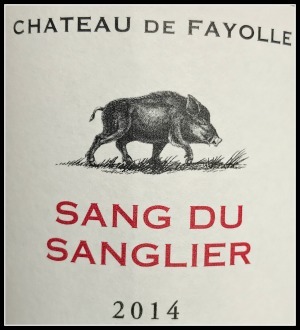 Jane- I know you can find the Le G state side, Sang du Sanglier no, but you could order it, or better yet make a trip and I’ll take you to Château de Fayolle! 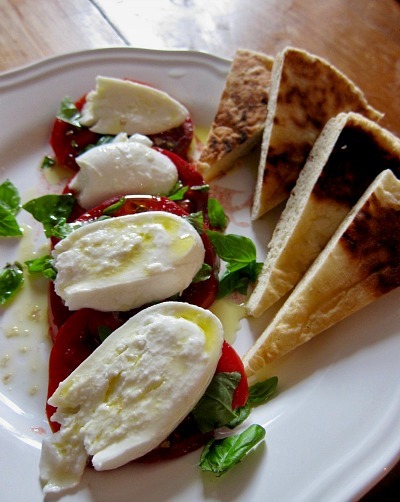 These wines – and eats – look fantastic. Thanks for sharing with #Winophiles. Hello! I’m so excited to read this — as you know about my visit to the area earlier this year. You mentioned this lovely spot, Café Le 1500, and it is clear that it was a real treat. Thanks for giving me a closer glimpse. 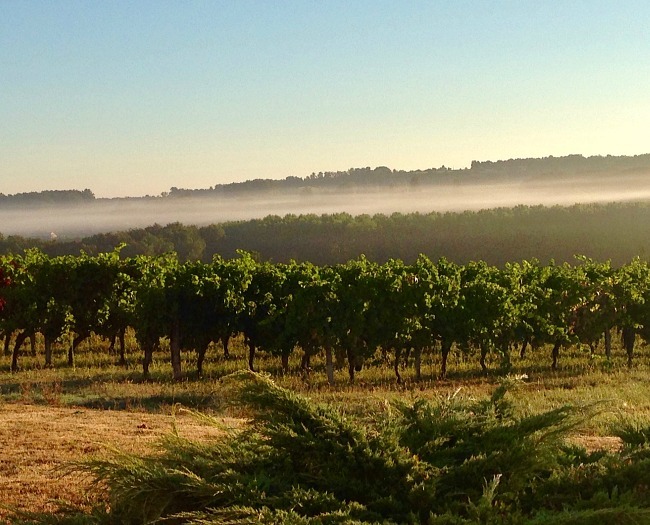 Bergerac wines really interest me, reading and writing more about them. Thanks for this story, bookmarked and sharing! Cheers. Glad you liked it Jill! I’ve explored Saussignac AOP quite a bit, and parts of Bergerac. I’ll have to share new adventures in these areas with you. Beautiful wines! I Love Ch Guiraud but don’t think I’ve ever had the dry version. I think I’m going to have to seek it out. And I totally empathize w the problem of courage in actually speaking French. I only speak a tiny bit and am always, ALWAYS intimidated to utter any out loud. Props to your courage! Thanks Nicole! A challenge in Bordeaux is so many people speak English, and wanting to practice they answer in English. I need to head to the countryside. 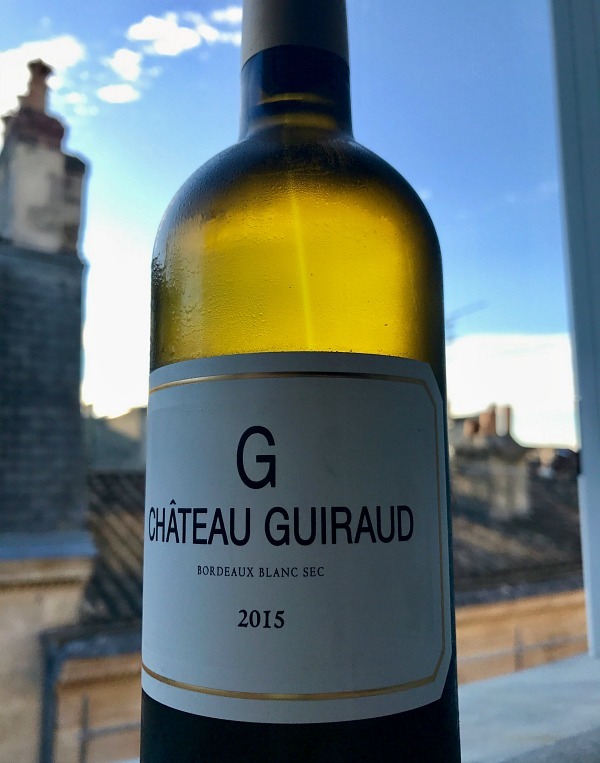 Regarding Guiraud Le G, looks like K&L Wine Merchants in SF carry the 2014.